Do not be deceived, God is not mocked; for whatever a man sows, that he will also reap. 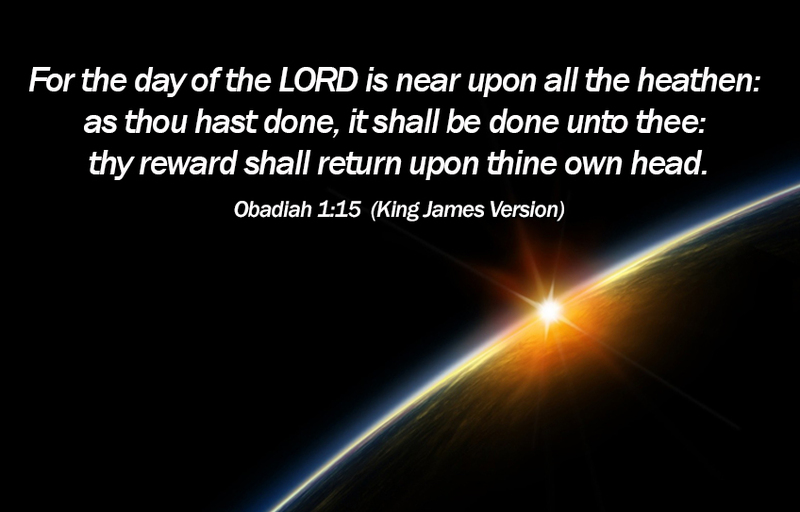 For he who sows to his flesh will of the flesh reap corruption, but he who sows to the Spirit will of the Spirit reap everlasting life. And let us not grow weary while doing good, for in due season we shall reap if we do not lose heart. Therefore, as we have opportunity, let us do good to all, especially to those who are of the household of faith. Galatians 6:7-10. 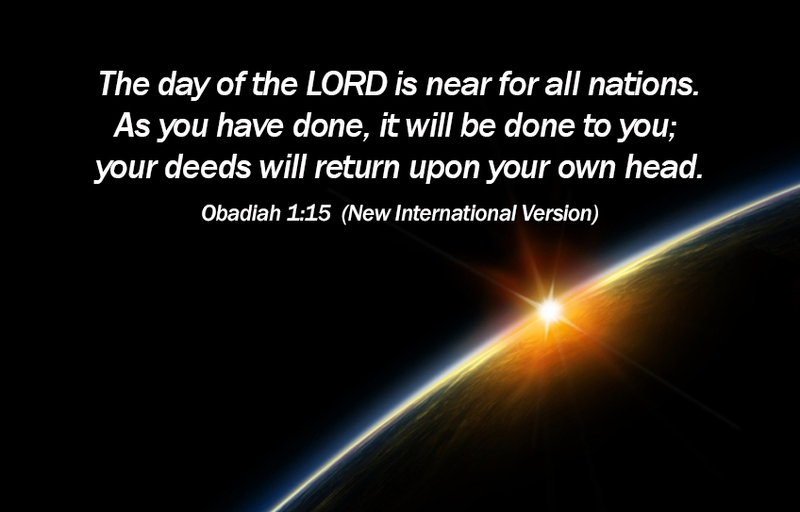 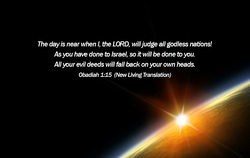 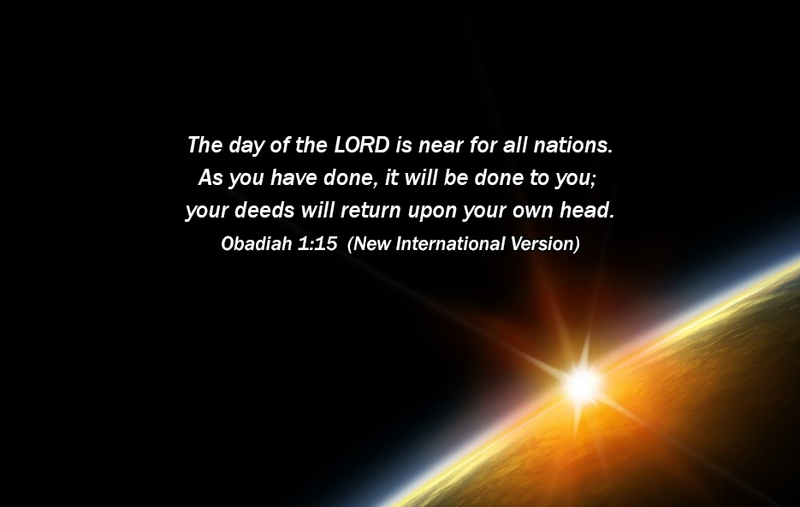 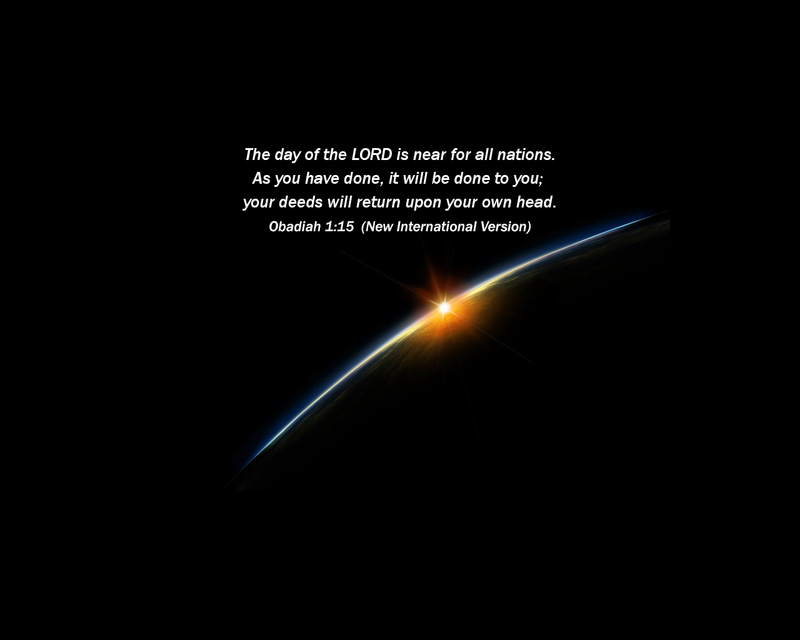 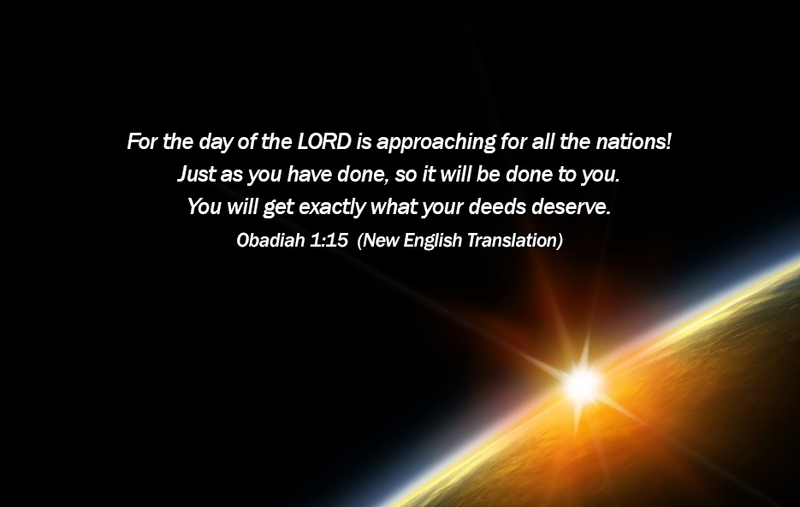 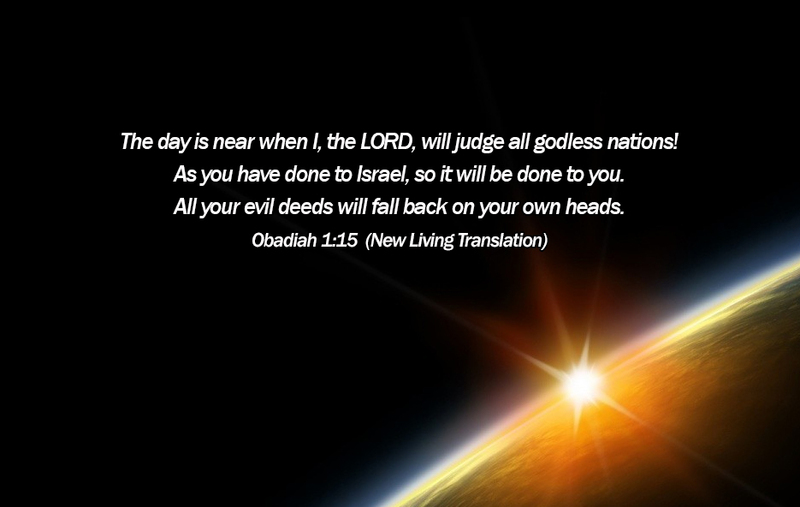 For the day of the Lord is near upon all the nations. 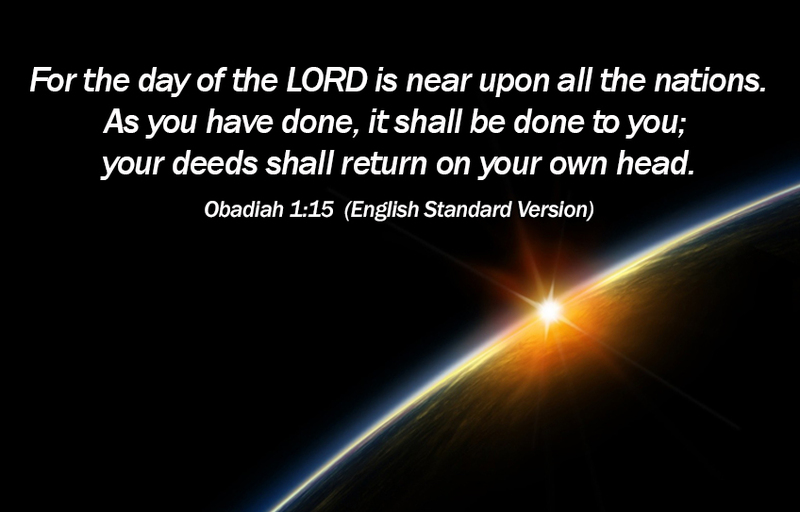 As you have done, it shall be done to you; your dealings will return upon your own head.